If you want a crisp, clear sound, you are going to need the right type of equipment. Thanks to the evolution of technology, however, you no longer have to rent out a studio to get this level of quality. There are plenty of affordable condenser microphones available that can produce the same sound at a fraction of the cost. 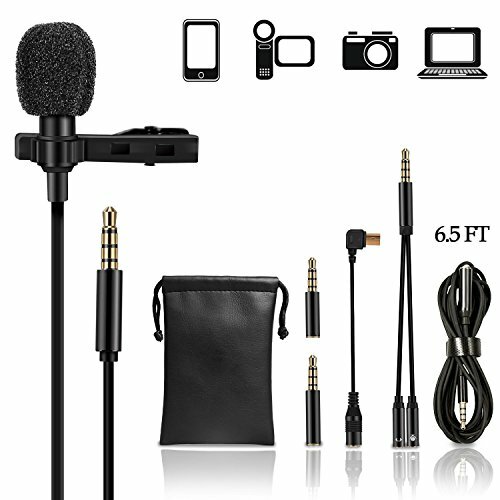 If you are the type of person that records on the go, then this Samson Go Mic will be well suited to your profession. Even if you are just looking for something that is a little smaller, this condenser microphone will work well. Although it is compact, the Go Mic does not lack for features or quality. With a frequency response of 20Hz – 18 kHz as well as 16-bit/44.1kHz resolution, the specs that you are getting is professional grade. Whether you are interviewing someone, trying to record a song, or are using it in combination with other software, the results will be the same. You can expect high grade audio reproduction. It is also incredibly easy to use. You just have to clip it on your laptop and you are ready to get started. 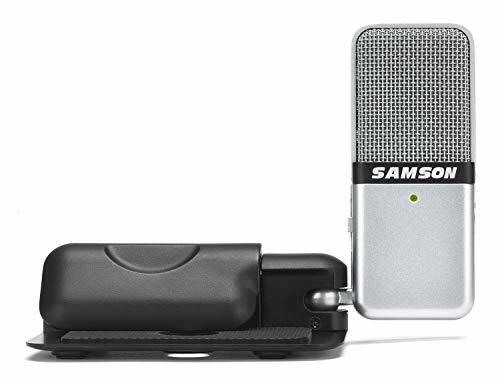 The Samson Go Mic is equipped with Plug and Play features. This means you do not have to mess around with drivers. It is compatible with Mac and Windows operating systems. Yet another one of the advantages of this condenser microphone is that it is quite affordable. You really are getting a lot for your money. There are so many great features to discuss regarding the CAD U37 condenser microphone. In order to use the U37, you just have to plug it into your computer via a USB cable. The sounds are then directly recorded onto your computer. It is compatible with both Mac as well as the Windows operating system. There is also no need to install any software, just use the mic as the main input feature. The U37 ensures that you have a studio quality recording. This is due to the cardioid pick-up pattern that lessens any unnecessary noise, focusing on the main sounds such as singing, speech, or even instruments. You can also limit the amount of distortion that’s picked up with the help of the 10dB overload-protection switch. There is also a bass reduction switch which cuts down on room noise. 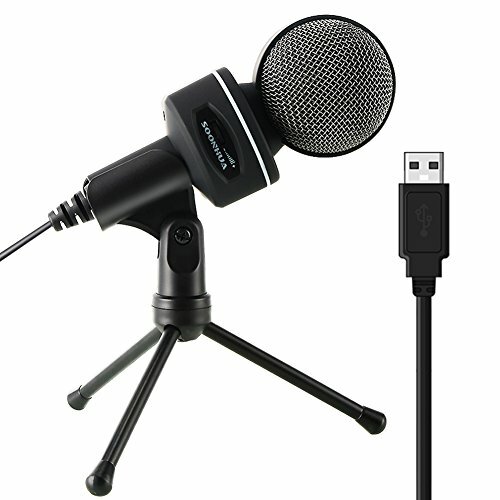 To add to the studio-like feel of this condenser microphone, it also comes with a tripod that you can use for setup. All of this will only add up to a really reasonable price tag, making the U37 perfect for up and comers. These days, there is very little that a smartphone or tablet cannot do. This is why these mobile devices are quickly replacing other bulkier, more expensive equipment. This is precisely what this condenser microphone has been designed for. Although it has been designed to accommodate an iPhone, this mic also works well with Samsung phones and even Android smartphones. In addition, you can also use it with your iPad or iPod Touch. Made for mobile devices, this mic is simple to setup and use. You just plug the jack into the phone and clip the mic to someone’s chest. The TTRS jack accompanying this mic makes sure that the recording is picked up perfectly and with the utmost clarity. It is also a versatile mic due to its omnidirectional microphone. This means that regardless of where the sound or voice is coming from, the microphone will pick it up. The recording features work well with just audio recordings as well as for video recordings. Last but not least, you can get this compact minute for an absolute steal, with all the components included. Highly Versatile Mic: Simply plug into headset jack and clip onto your shirt, you're ready to create your own hands-free audio, perfect for recording YouTube, interview, concert, podcast, live video. We throw in an extra carry bag so you can safely bring your mic wherever you go! Omnidirectional & Clear: This omnidirectional mic picks up voice from all directions, with in-built noise cancelling technology and fuzzy wind muff windscreen to block plosives, it records clean and clear sound for professional results in extreme environment. Headset Splitter Cable & Extra-Long Length: The audio splitter cable enables the use of an external microphone and speaker at the same time. Using the included 79 inch extra-long cable, you can walk around without unplugging this mini mic to do recording anytime. 100% Satisfaction Guaranteed: With UBeeszie lavalier microphone, you get a reliable and high quality audio recording equipment for on-the-go use. UBeesize provides lifetime money back/replacement service for all products, so purchase with confidence from us anytime! Every aspect of this Excelvan condenser microphone has been designed to have a specific and beneficial function. As long as you give this microphone the power that it requires, you will have no problem at all getting great results in return. The cardioid pickup pattern is unidirectional but this is not something that holds this microphone back. Instead, you get adequate feedback suppression and can use this condenser microphone in a variety of settings. Whether you are attempting to record a musical number or are simply picking up speech, you will get the best possible reproduction. For increased vocal intelligibility, the Excelvan mic is equipped with tailored frequency response as well. To give it just a little bit of a boost you also get a Shock Mount. This way, you will not have to worry about any additional noise resulting from handling the microphone. Similarly, you get an anti-wind foam cap to minimize any further interference. The price tag for this Excelvan condenser microphone is incredibly reasonable. On top of it all, you also get a one year warranty, courtesy of the company. 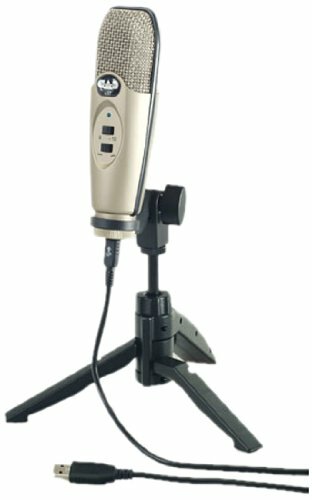 If you are trying to set up in an environment that does not have the particular features of a studio, the Soonhua mic can help make up the difference. This is because this condenser microphone has been designed to be used at home or other less-than-ideal conditions. One of the advantages offered by this mic is that it supports many types of operating systems on various laptops. This includes Mac, Windows, and even Linux. This makes it quite a standout in the market. The other benefit is that it is completely hassle free thanks to the Plug and Play components. You will not have to configure anything or download drivers, the necessary features will already be present. Even if you have to record in an area that is not completely silent, that’s alright. The noise cancelling components on this condenser mic will sort it out for you. It has also been designed even to work with certain tablets, making it incredibly portable. When you think about all of these features and take the price into consideration, you know you are getting a great deal. Omnidirectional Pick-up Pattern: This omnidirectional microphone captures sound from all angels,so it is ideal for meetings,online chatting(Skype&Hangouts&Wechat) and gaming.If you are singers of bank, instrumentalists or youtuber, it definitely meets your need. Excellent Sound quality:With a wide frequency resolution of 50MHz-16KHz, it offers clear and crisp audio.The advanced noise cancellation technology and the built-in pop filters in the microphone enables it to pick less noise and pops during recording vocals. USB Plug & Play:It is totally drive free,which means it works well with any PC or Laptop computers and you don't need to download extra software. It supports both Windows and MAC system. Volume Control Switch:It features a gear switch which make it easy to adjust the volume without setting the volume in your Computes. Adjustable Tripod: The 180°rotatable tripod could be adjusted to the angel you need.The sturdy and well-constructed shock mount reduces the trill caused by vibration effectively. It stays perfectly great on your desktop. Conclusion: If you are trying to set up your own small studio or just trying to get the best quality possible, this is the list for you. All of these condenser microphones have been proven to be incredibly adept at producing quality sound reproduction. You will be in good hands.